July 4, 1776, became the date that was included on the Declaration of Independence, and the fancy handwritten copy that was signed in August (the copy now displayed at the National Archives in Washington, D.C.) It’s also the date that was printed on the Dunlap Broadsides, the original printed copies of the Declaration that were circulated throughout the new nation. So when people thought of the Declaration of Independence, July 4, 1776 was the date they remembered. 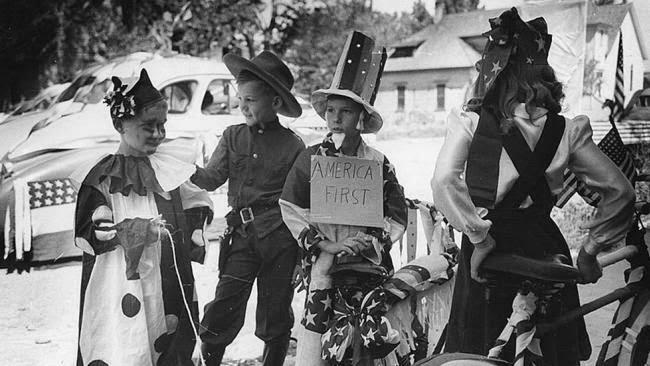 Bicycle riders in parade on the Fourth of July at Vale, Ore, circa 1941. 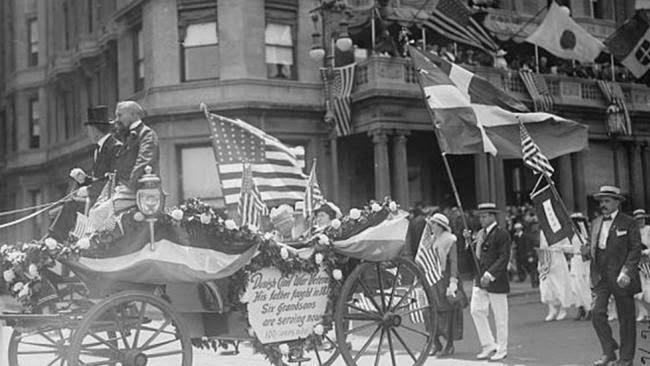 Revelers enjoy a rather subdued Fourth of July parade in New York, circa 1911. 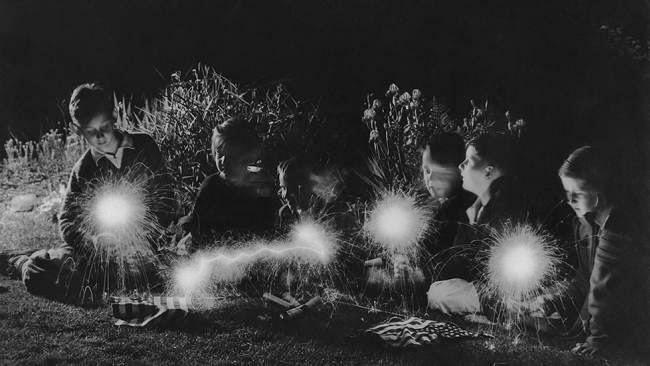 A group of children plays with sparklers in 1940 after Fourth of July celebrations. 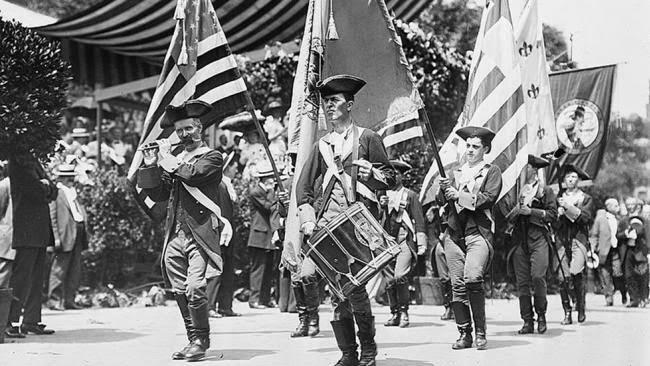 Men wearing period costumes participate in a Fourth of July parade in 1911 in New York. 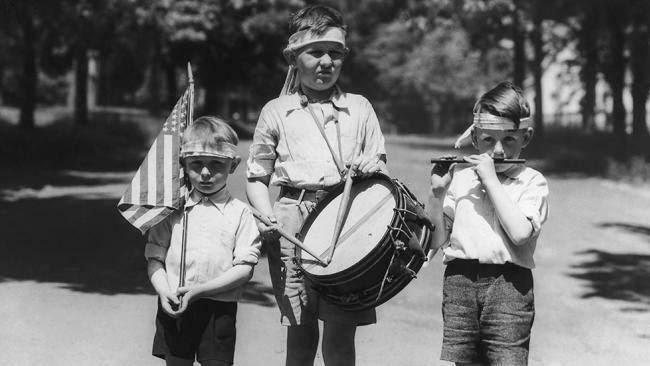 Three boys dressed as a patriotic band celebrate Independence Day on July 4th, in the 1940s. 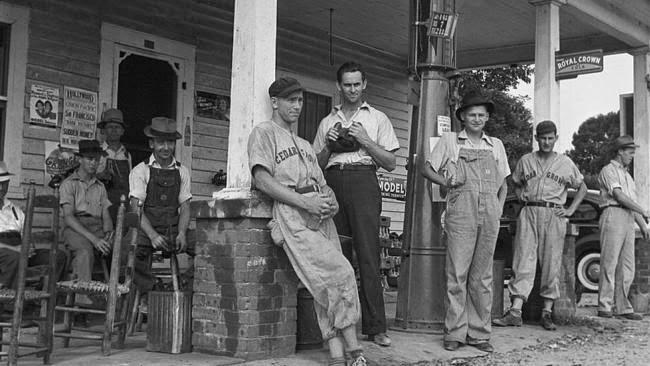 Fourth of July celebrations take place in 1939 near Chapel Hill, N.C. The men in the baseball suits are on a local team slated to play a game nearby. 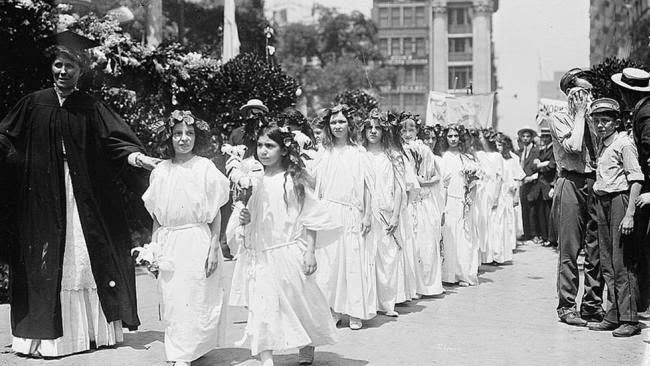 A Fourth of July parade is held in New York with little girls marching in festive white dresses. 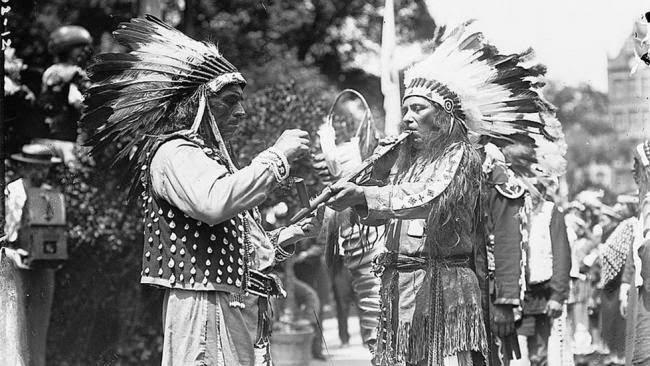 Two revelers, sporting Native American headdresses and playing instruments, enjoy a Fourth of July parade in New York in 1911. 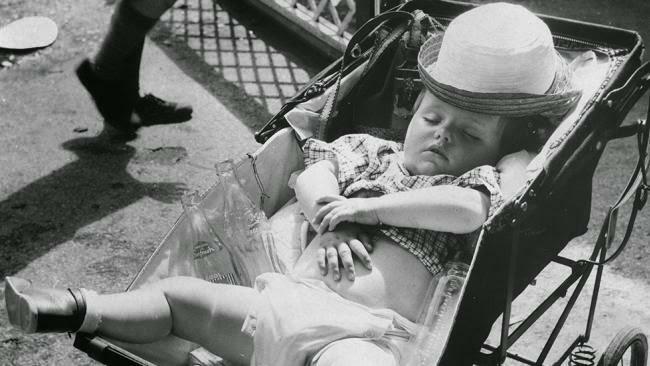 A very young American enjoys a snooze in his pram while attending American Independence Day celebrations in London with his serviceman father. 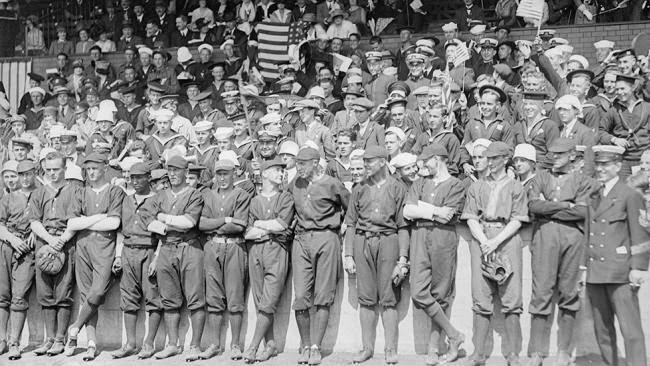 Spectators watch a baseball match intently on Stamford Bridge, July 4, 1918. 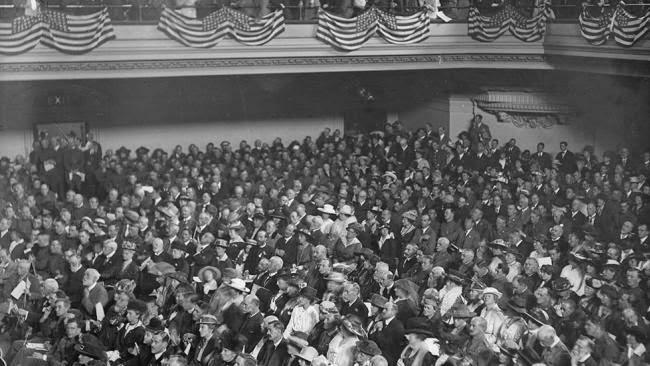 Central Hall is decorated with the 'stars and stripes' during a meeting on July 4, 1918. 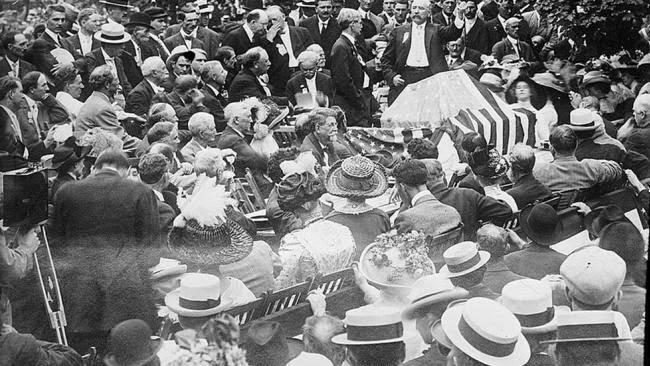 One of the speakers pictured include Winston Churchill when he was Minister of Munitions. 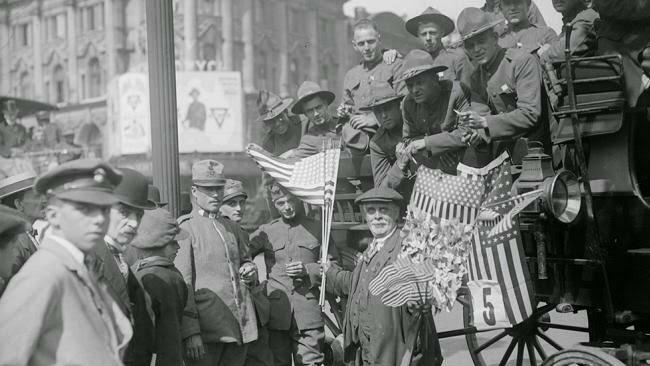 American soldiers driving through the streets rest during Fourth of July celebrations on July 4, 1918. 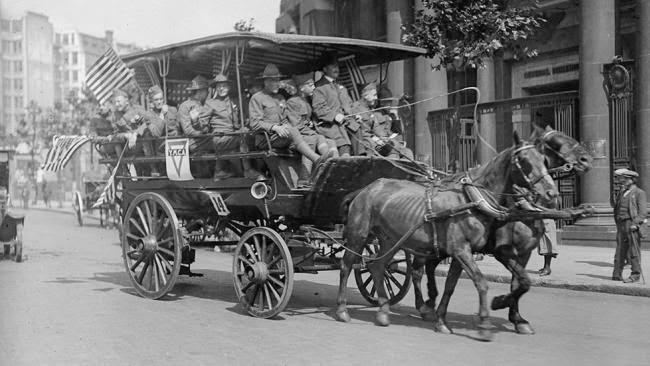 Soldiers ride in carriages through the streets during Fourth of July celebrations. 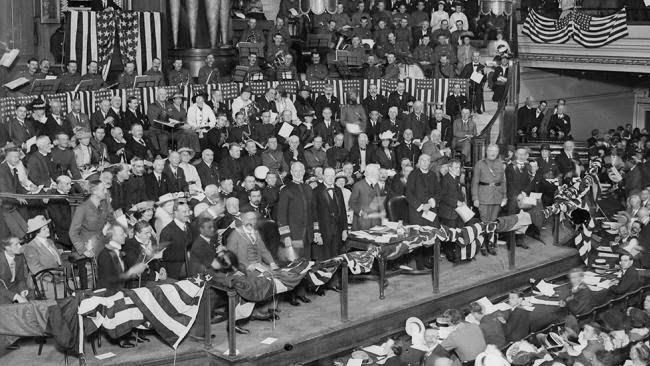 A group convenes at a meeting in Central Hall, London, which is decorated all around with American flags. 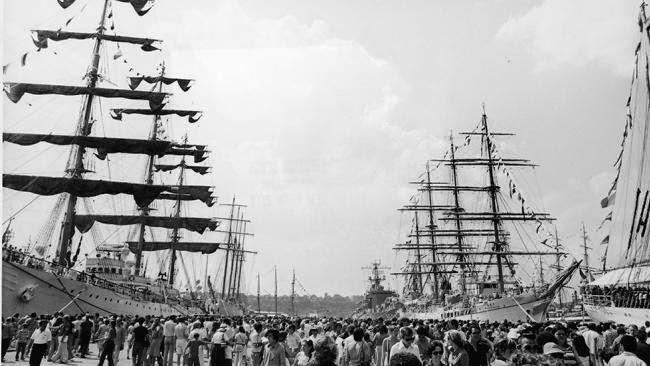 Tall sailing ships sit on display at a pier for the American Bicentennial celebration on July 4, 1976. 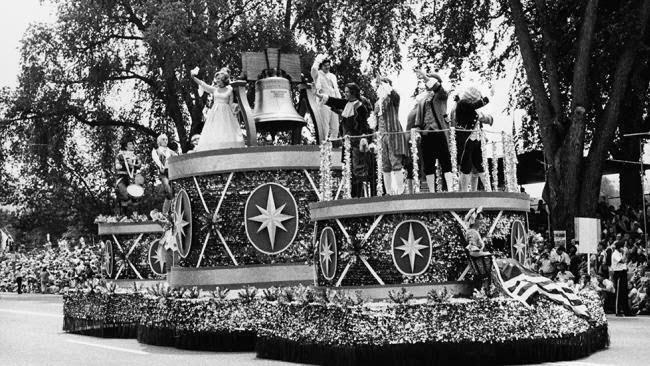 Men and women in 18th century costumes wave from atop a Liberty Bell float during an American Bicentennial parade on July 4, 1976. Parade at the July 4th celebration, Ashville, Ohio July 4th, 1938. 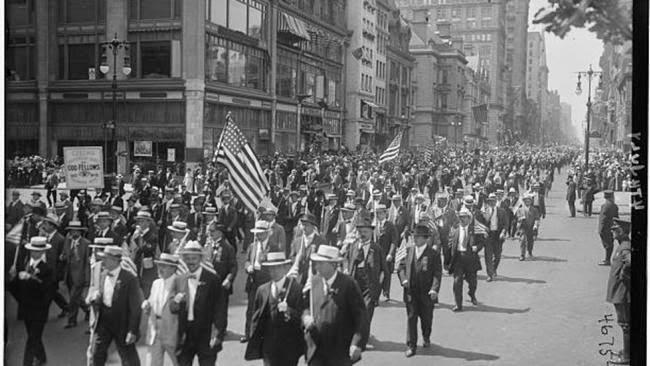 Throngs of people take part in a Fourth of July parade, early 1900s.